For information about after school opportunities, please remember to register at https://www.peachjar.com/. This is where all the flyers for activities are located. 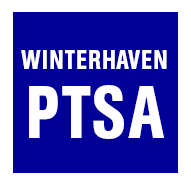 The Winterhaven PTSA established a scholarship fund for after school activities with the goal of ensuring all students are able to participate in enrichment activities that take place at the school. We have allocated funds to support this goal and will use the 2017-2018 year to pilot our approach. We will strive to provide funds to all families who request them and to negotiate with the vendors offering these activities to encourage them to provide additional scholarships to supplement PTSA efforts. Up to two scholarships per child per year will be provided to families who qualify for free/reduced lunch. Families will pay for 25% of the cost of the program and the scholarship and arrangements with the vendor will cover the rest of the cost. Scholarships will be provided in the order they are requested until the funds allocated by the PTSA are spent. The PTSA board will evaluate the approach at the end of the pilot school year and make recommendations to strengthen the program for future years. Our kindergartners will once again be collecting items for the Raphael House of Portland. The Raphael House of Portland has been offering shelter to women and children fleeing domestic violence since 1977. Our kindergartners have been collecting donations for the Raphael House for fourteen years running. They always show great excitement and joy when giving to those in need. I have also always impressed with how much our Winterhaven community gives. Please help our kindergartners help others. Collection boxes are located in the hall by our kindergarten classroom (not in the front hallway). We will collect items through Thursday, December 7th. We will begin collecting items on Monday, November 27th. Please help us get a quick start! Please contact Dave Huckaba (dhuckaba@pps.net) with any questions. Thanks for everybody’s help & support!!! The M.U.S.E. Program will be starting band classes by the second week of September. Classes are on Wednesdays after school. There is no previous experience necessary for beginning band. We offer instruction in flute, clarinet, alto sax, trumpet, trombone, and drums. We will be coming by the classes to talk to the students about the program. If you have any questions, please don't hesitate to contact the M.U.S.E. office at info@museband.com or 800-233-6873. For information about our program (cost, class schedule, instrument rentals, etc..) see our website at www.museband.com. We are looking forward to another fabulous year of great music!!! West Side: Sunday, September 17, 2017 from 3pm to 5pm at Holy Trinity School, 13755 SW Walker Rd Beaverton. East Side: Saturday, September 16, 2017 from 9:30am to 11:30am at St. Rose School, 5309 NE Alameda Portland. Practices are Monday & Wednesday 4pm-5:30pm @ Sellwood Middle School. Athletes will leave campus for running. Season is 7 weeks with Meets every Thursday. Meets start @ 5pm unless otherwise noted. Athletes get a rented uniform & a sweatshirt to keep. Open to girls grades 1-8. For registration or more information, visit the SE Portland Girls Basketball Club website or call Steve Cooper (503 887 2928). Boys youth tryouts are Sunday, October 16th, 2016 and Sunday, October 23rd, 2016 for grades 4-8. Forms are located on the rack in the Winterhaven entry hall or can be downloaded from the Cleveland High School website. For more information, email Craig Cokley (candmcokly@gmail.com) or Corrine Lyons (cybbasketball@hotmail.com).